We still remember, long before the realities of actually owning and maintaining a vehicle set in, seeing commercials for original equipment manufacturer (OEM) parts on TV. OEM parts cost a little more, the ads said, but the product would last longer and do a better job of insuring the well-being of your vehicle. Even at such a young age, the benefits of paying more for a seemingly identical part seemed dubious. How much of a difference can an OEM air filter make, really? As it turns out, it can make a huge difference. You are looking at the remains of an aftermarket, $20 air filter. To borrow a common automotive simile, this filter is like your car’s lungs: it makes sure that the air coming into your engine is devoid of dirt and debris. A Ford factory filter would have cost $36.95, almost twice as much. What justifies the difference in price? A simple mesh screen at the back that makes sure nothing can get through the filter and, potentially, into your engine. Like, for example, a rat. Because of a roughly $20 difference in air filter, the car this filter used to occupy had to have over $1,000 of maintenance performed on it. This maintenance was to make sure that neither the pleating from the air filter nor a hungry rat were sucked into the car with sufficient force to permanently damage the engine. 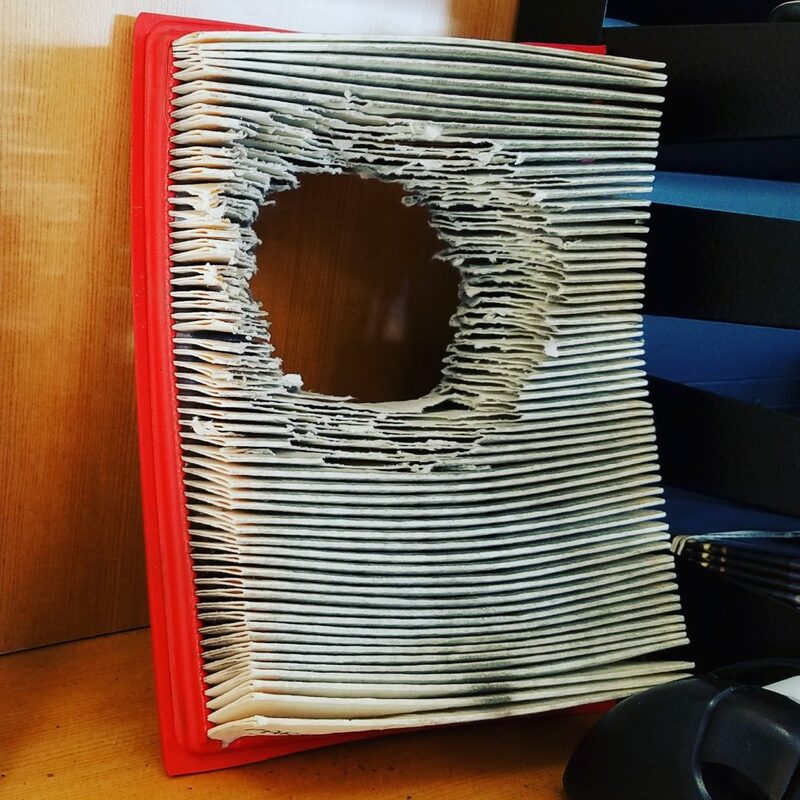 In the end, we determined that no rodents were harmed in the purchase of this off-brand filter; in fact, someone ended up with quite a bit of valuable, pleated nesting material from this arrangement. But we had to explain to two very conscientious car owners, people who make sure that their vehicle makes it to every oil change and maintenance appointment on time, that an aftermarket air filter cost them more money than some peoples’ cars are worth. That’s a conversation we don’t like to have, and it’s news you can avoid hearing by following those commercials’ advice: even if it costs more than you were hoping to spend, OEM parts are always the answer.